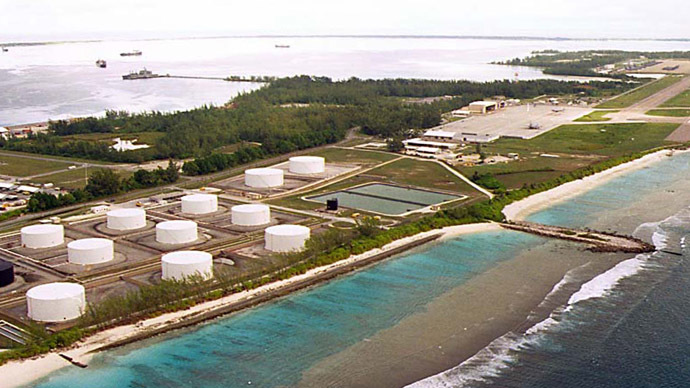 The UK government continues to delay the publication of flight records which could prove the British overseas territory of Diego Garcia was used by the CIA for “torture flights,” a human rights NGO has said. Reprieve, which advocates for prisoners’ human rights in Guantanamo and elsewhere, said the UK government admitted in 2008 that Diego Garcia, a British territory in the Indian Ocean, was used by two CIA rendition jets carrying prisoners in 2002. With the release of the Senate torture report in December, it was revealed that the CIA flew captives to secret prisons, known as black sites, across the globe as part of its rendition program. Although it has been known for years the CIA has used the island for rendition, the British government has failed to publish flight records which could provide clues into how the site was used and who was taken there, Reprieve argues. “It is now over seven years since the UK government was forced to admit that CIA torture flights were allowed to use the British territory of Diego Garcia, yet we still seem no closer to the publication of flight records which could provide crucial evidence of what went on,” said Donald Campbell, from Reprieve. Then-Foreign Office Minister Mark Simmonds later told the House of Commons that officials would be “assessing their suitability for publication.” However, the government has failed to make a further statement. “We need to see full publication of those records without delay, in order to reassure the public that Britain is not involved in the cover-up of torture evidence,” Campbell said. A former senior official in the administration of George W. Bush recently admitted that interrogations took place at a CIA black site on the island.